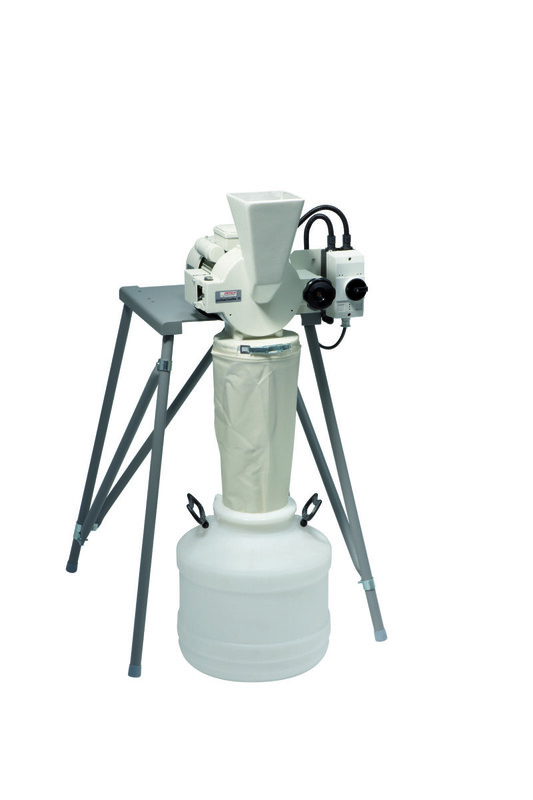 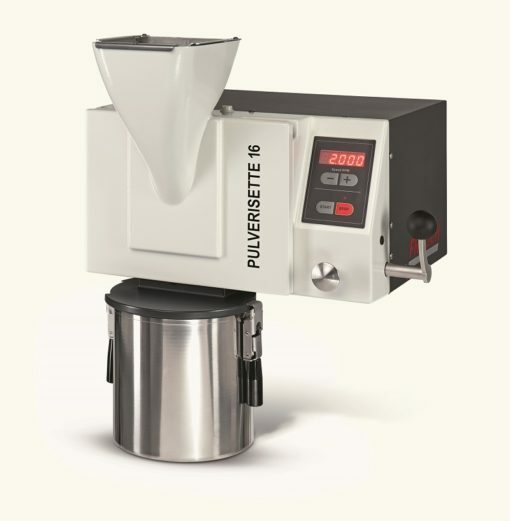 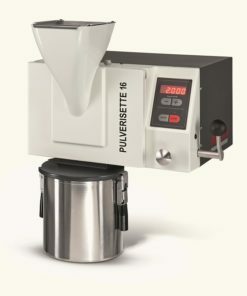 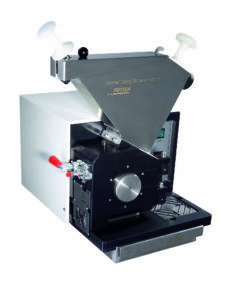 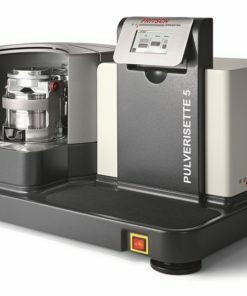 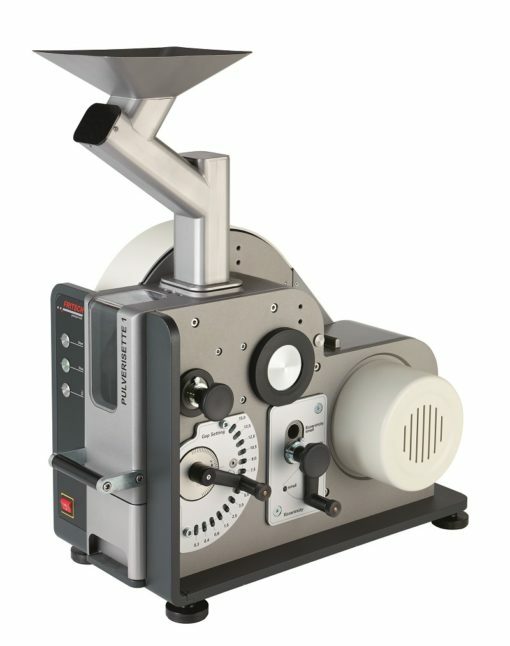 The Automatic Mortar Grinder Pulverisette 2 is ideal for universal grinding of medium-hard-brittle to soft-brittle materials (dry or in suspension) to analytical fineness, as well as for formulation and homogenisation of pastes and creams at laboratory scale. 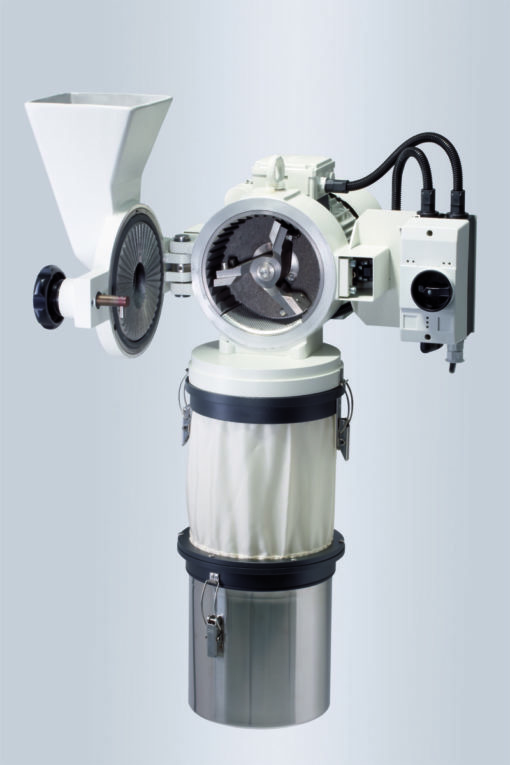 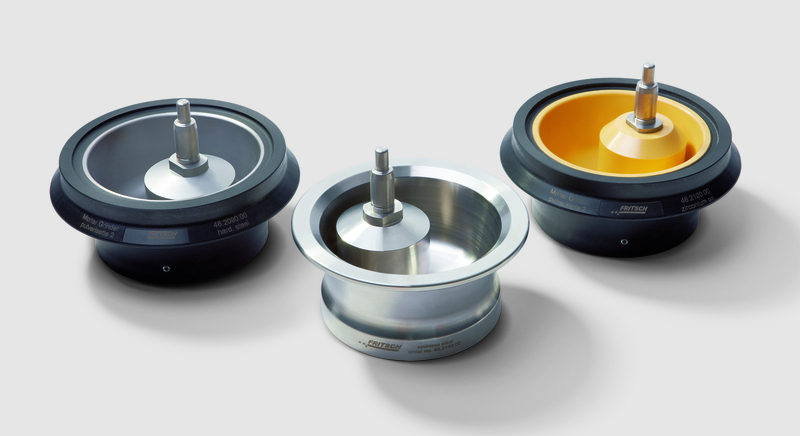 Areas of application include, for example, grinding dry samples and solid materials in suspension, or manufacturing and homogenising pastes and creams to laboratory standards. 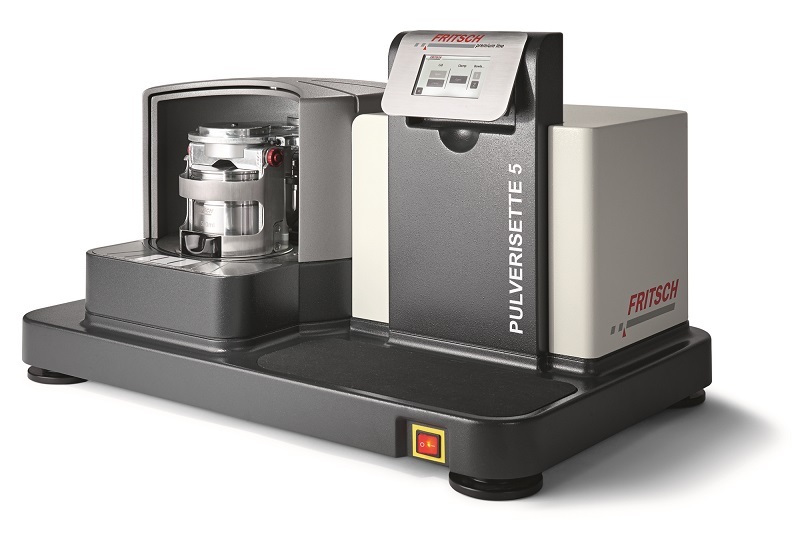 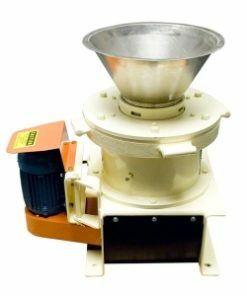 Whenever reproducible grinding conditions, short grinding times, precise results, loss-free milling, and dust-free operation are required, the Pulverisette 2 is the perfect mill. 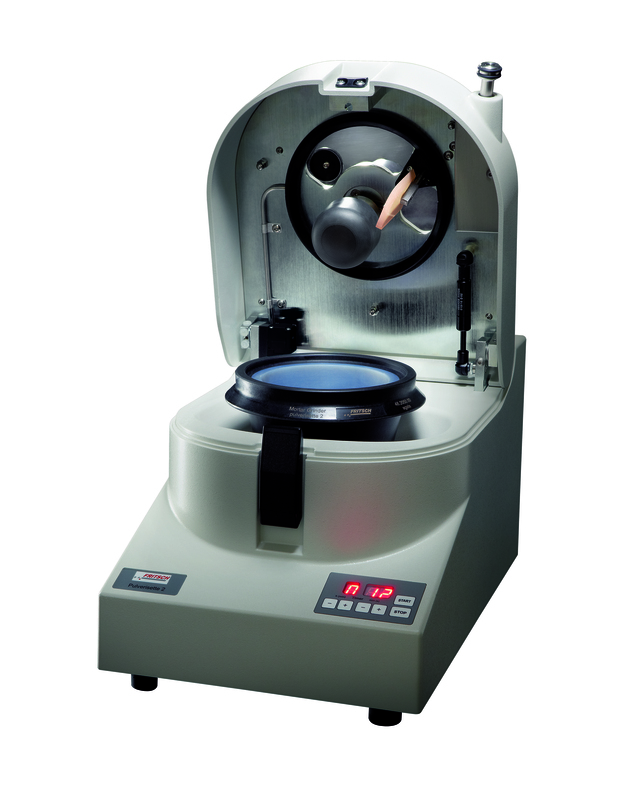 A final fineness of 10 – 20 μm can be achieved from a material feed size of 6 – 8 mm and feed quantity of 30 – 150 ml (dependent on material). 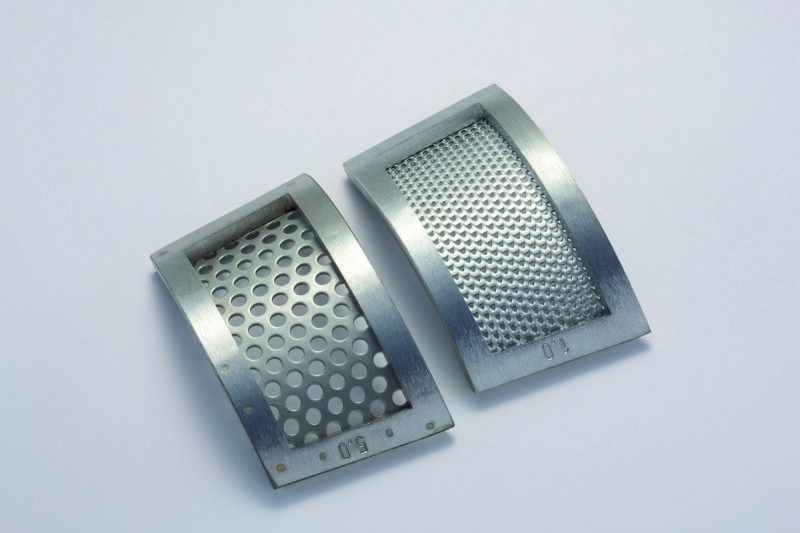 Applications: pharmacy, foodstuffs, chemistry, mining and metallurgy, geology and mineralogy, glass and ceramics industry, agriculture and forestry. 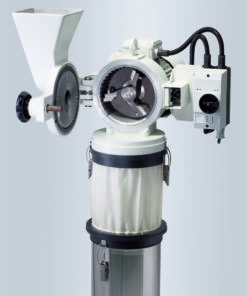 Similar to a hand mortar, using pressure and friction, the pestle, with its large grinding surface, grinds the material against the walls and bottom of the mortar bowl. 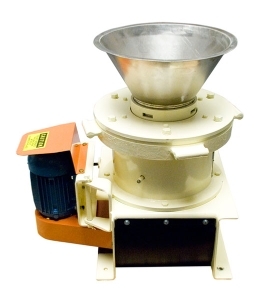 The mortar bowl is turned by a gear motor and drives the pestle with its freely rotating bearing through friction. 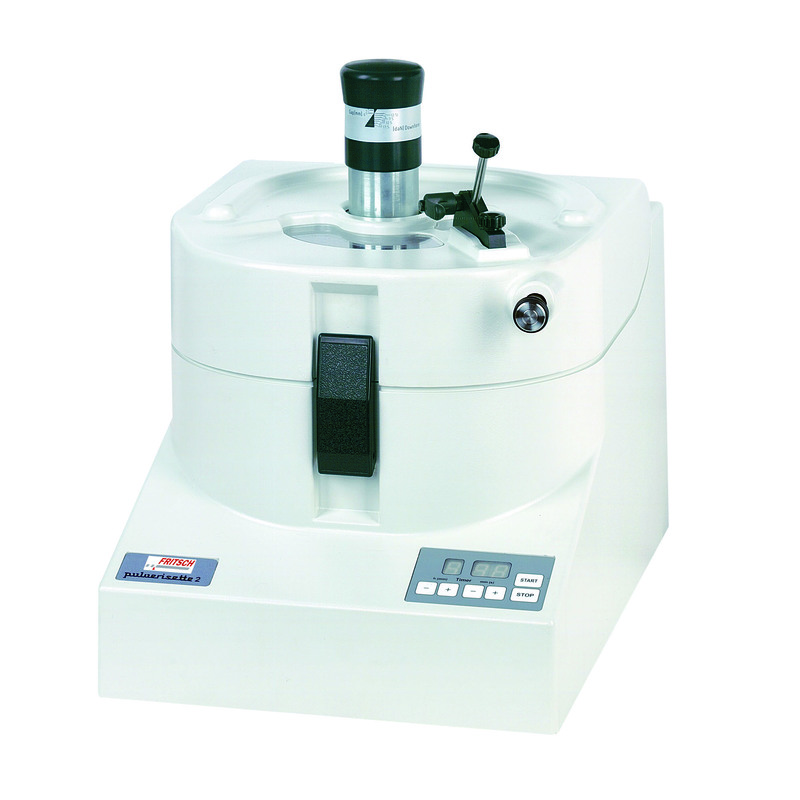 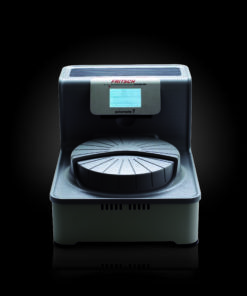 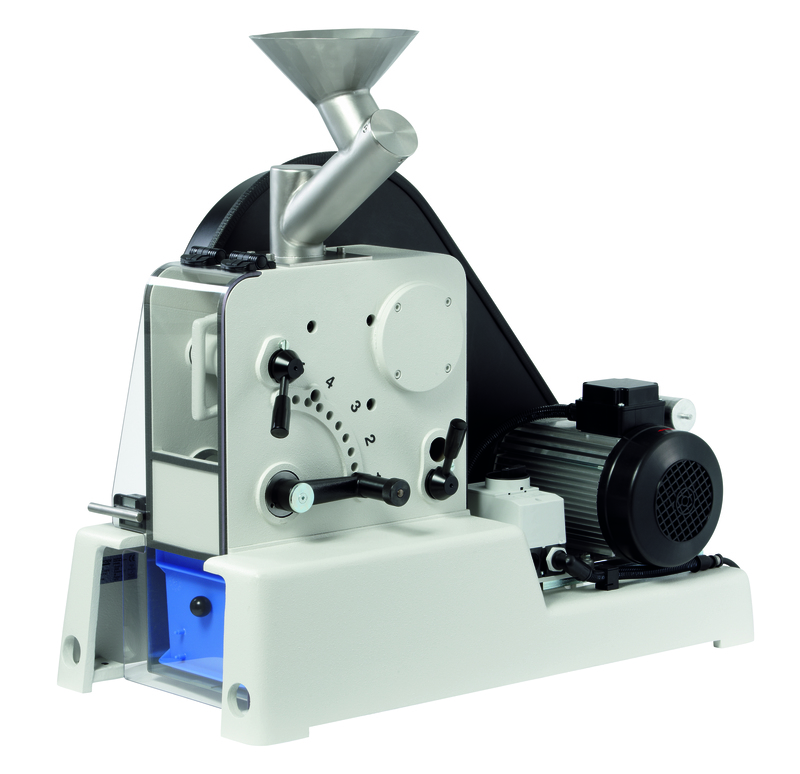 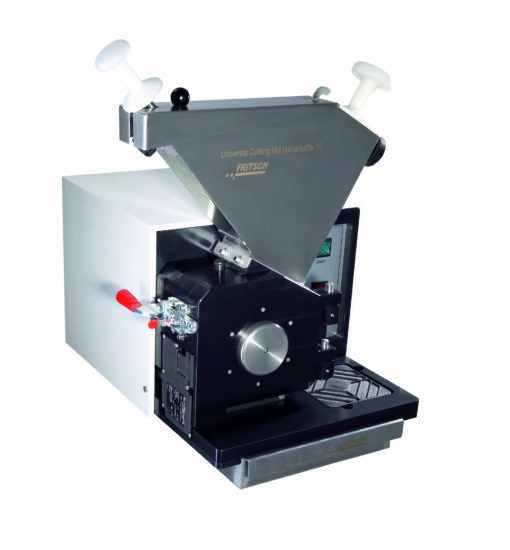 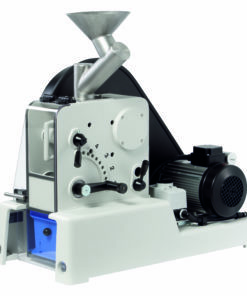 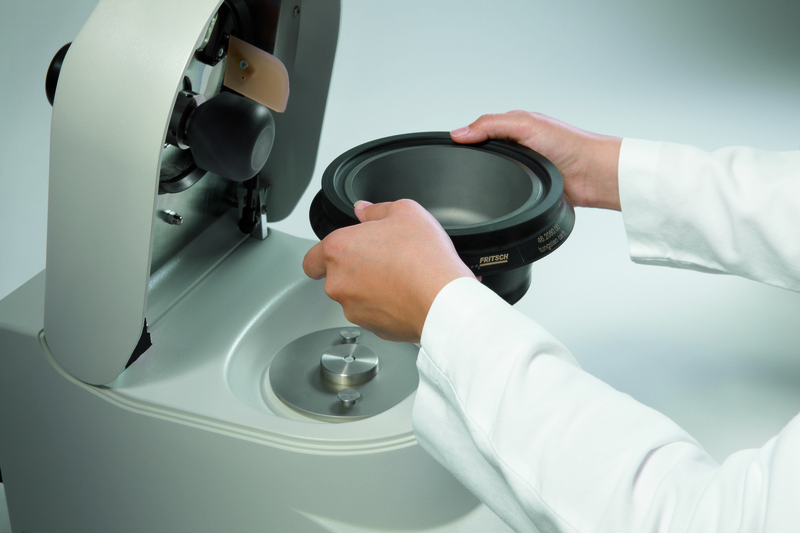 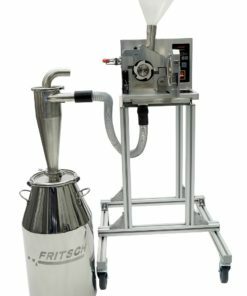 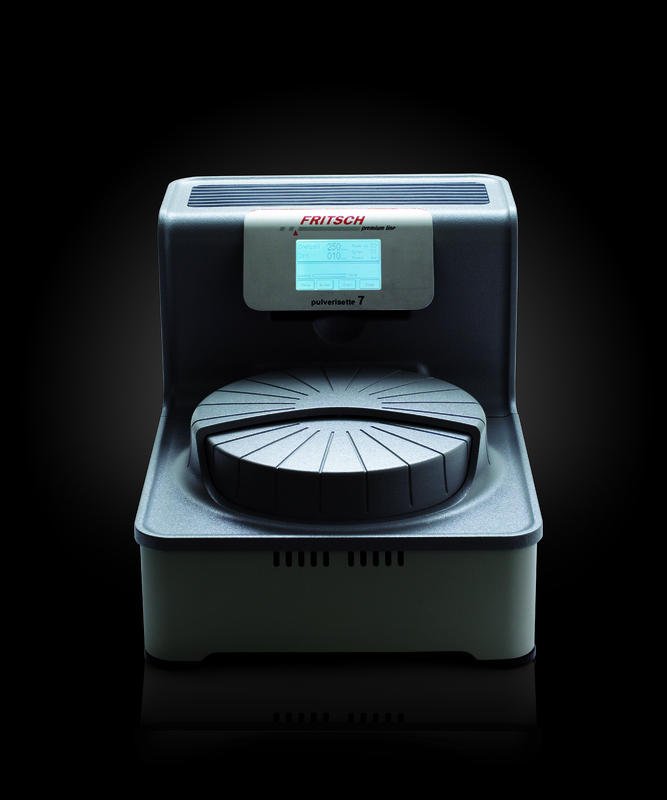 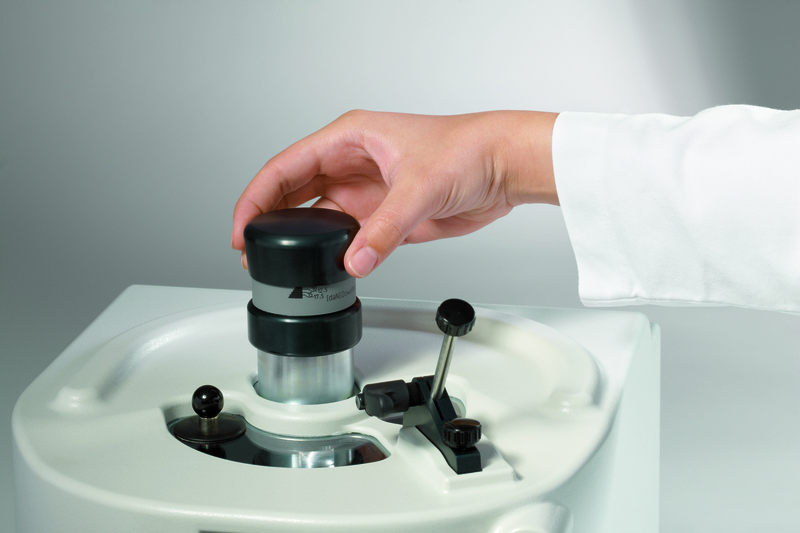 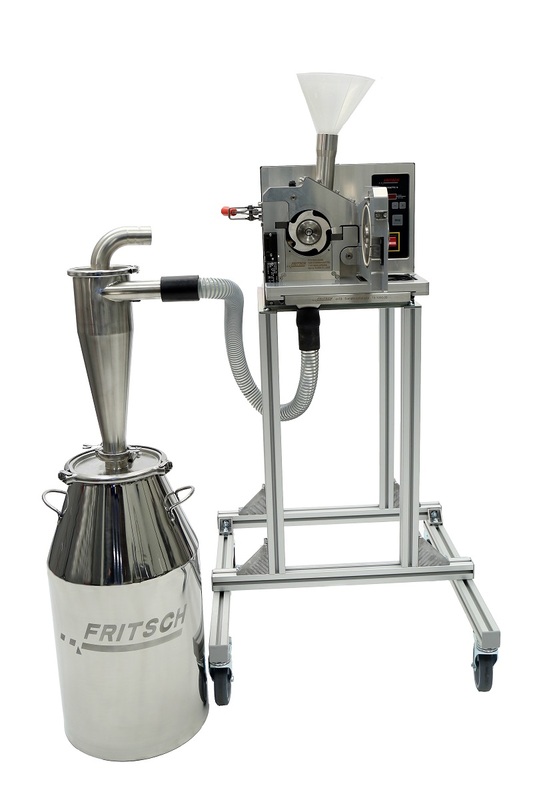 It allows a uniform and gentle grinding through friction, mixing or homogenisation of organic and inorganic samples, with no thermal load – dry or in suspension.